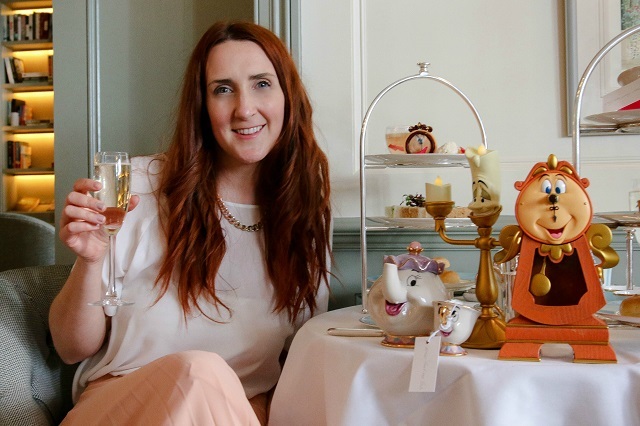 The beautiful Town House at The Kensington Hotel launched the Beauty and The Beast inspired "Tale As Old As Time" Afternoon Tea for a few weeks, before a mad rush of crazy Disney fans [hi there!] sold it out rather quickly. 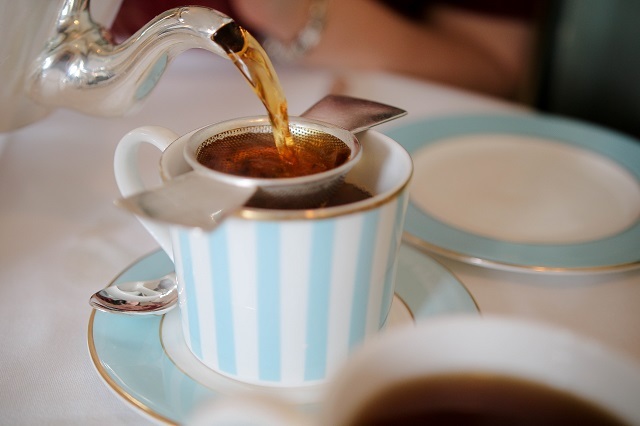 Even though more dates have be released, this afternoon tea is full until November, so please keep watching for more dates to become available...it's so worth it! Meeting Chelsea in London, we hopped on the tube to South Kensington and enjoyed our afternoon in the sunshine before heading the the gorgeous Kensington Hotel. Both seeing lots of photos, videos and information about it got us super excited, but we tried to keep it all as special as possible and it really was so amazing sharing the day with Chelsea. 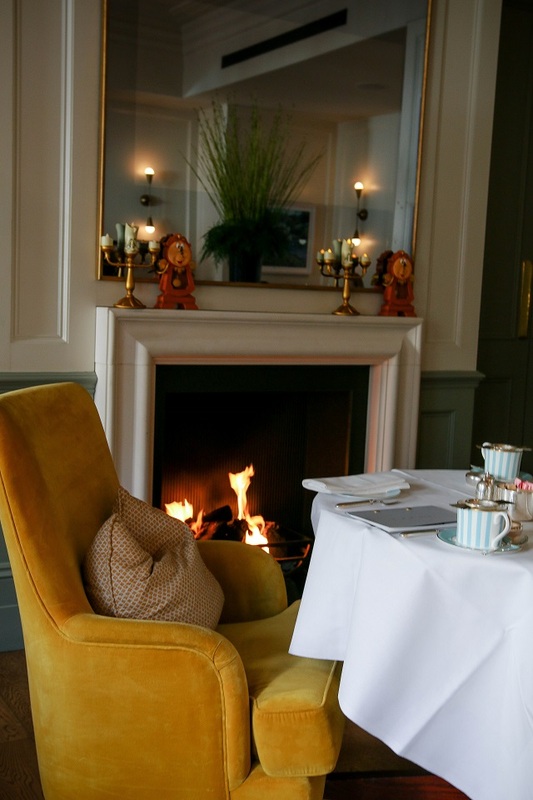 The hotel itself is beautiful, very grand and light, perfect to sip cocktails before our table was ready for the Tale As Old As Time Afternoon tea. 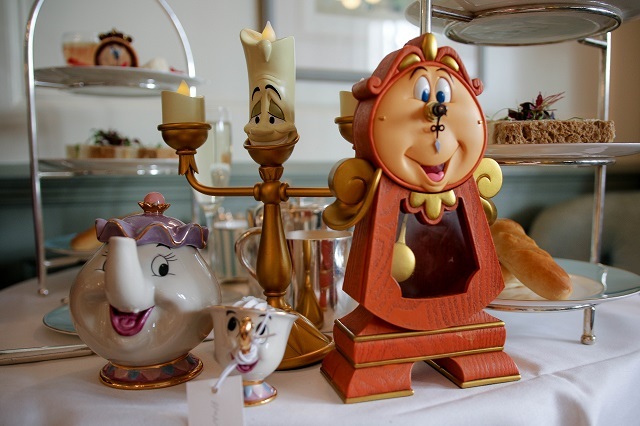 The tables were lined with fun characters such as Lumiere and Cogsworth, a fire warmed the room and the light shone in through the beautiful bay window. Being seated and feeling ever so giddy, we were ready for our Disney afternoon Tea. Such a wonderful gift, day out, time with friends or family. A mix of guests joined us from a large family, to a couple and a few friends sharing the experience together too. 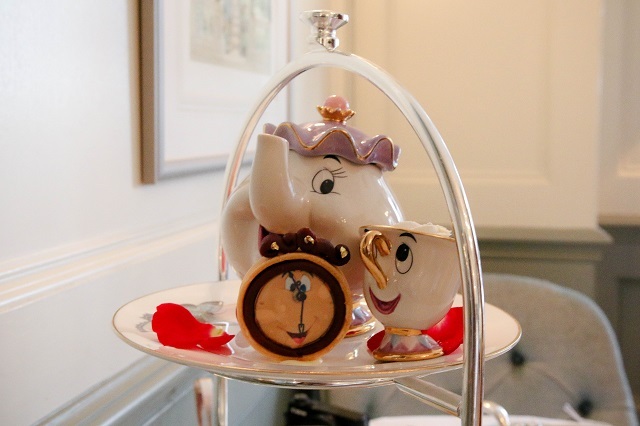 Mrs Potts and Chip help along the way, to bring you the most gorgeous Beauty and The Beast inspired afternoon tea. 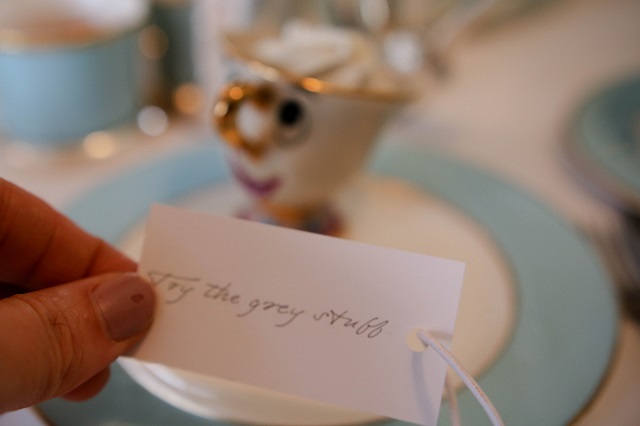 The menu was gorgeous boasting many sweet treats, as well as lovely sandwiches and even baguettes too. The starters were delicious before out comes the main event of the belle gingerbread dress, chip with "The Grey Stuff" and even a rather yummy Cogsworth chocolate tart. It was such a lovely day out, and I am so blessed I got to share it with someone who loved it as much as I did. 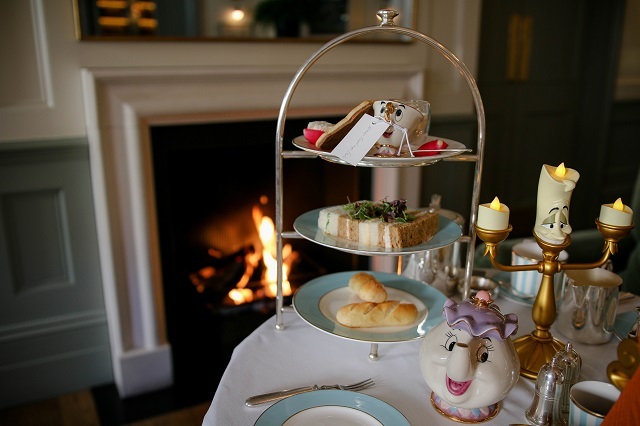 The afternoon tea is priced at £35 or £45 with a glass of champagne, but we swapped this for Prosecco instead. The amount of food available was great, and no questions were asked when I asked to swap the fish sandwich for another. The sweet treats were full of character and thoughtfulness from the film, but the starters were just as delicious and really added something too. Both Chelsea and I had a great afternoon and no doubt would do it again in a heartbeat.